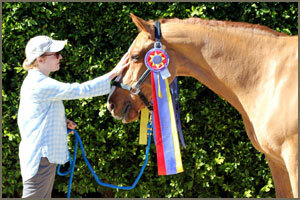 Today, Cathey Cadieux resides in Malibu, California, with a view of the sea and stables just up the road. She is currently building a large art studio on her property, where she will teach workshops and also organize classes taught by other accomplished artists. 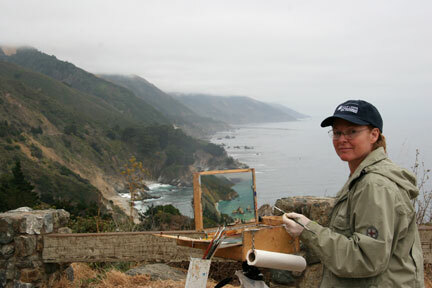 A native of Tulsa, Oklahoma, Cathey Cadieux is an accomplished landscape painter who has also had a thorough academic education in portrait and figure technique, which stresses accuracy in representing light falling on form. Beginning in 1974, she attended the American Academy of Art in Chicago, studying under the tutelage of master instructors such as the legendary Bill Parks (who taught both Scott Burdick and Dan Gerhartz). During this time I totally dedicated myself to art. At 19, without the distractions of a family, pets, or hobbies, I just painted: five days a week, 9 to 5 at school, plus homework and painting on weekends. That kind of lengthy intensive study is what it takes to really master figure painting from life. After her schooling, Cadieux returned to Tulsa and began a successful career as a portraitist. Another facet of her current work is her religious paintings. About fifteen years ago, Cadieux (who was raised Christian) became interested in studying Judaism. Ultimately, she began attending a Messianic Synagogue, because their form of Judaism embraces Yeshua (Jesus) as the Messiah. “I realized I wanted to say something with my artwork about my new understanding that the entire Bible was a Jewish text,” she explains. With typical dedication and intensity, Cadieux delved into researching Biblical history, and learning to read and write Hebrew. Subsequently, she started including Bible verses written in Hebrew in her religious paintings. On the Artist’s Statement page you can learn more about the devotional aspect of her work. Today, she resides in Malibu, California, with a view of the sea and stables just up the road. She recently completed building a large art studio on her property, where she teaches workshops and also organizes classes taught by other accomplished artists. 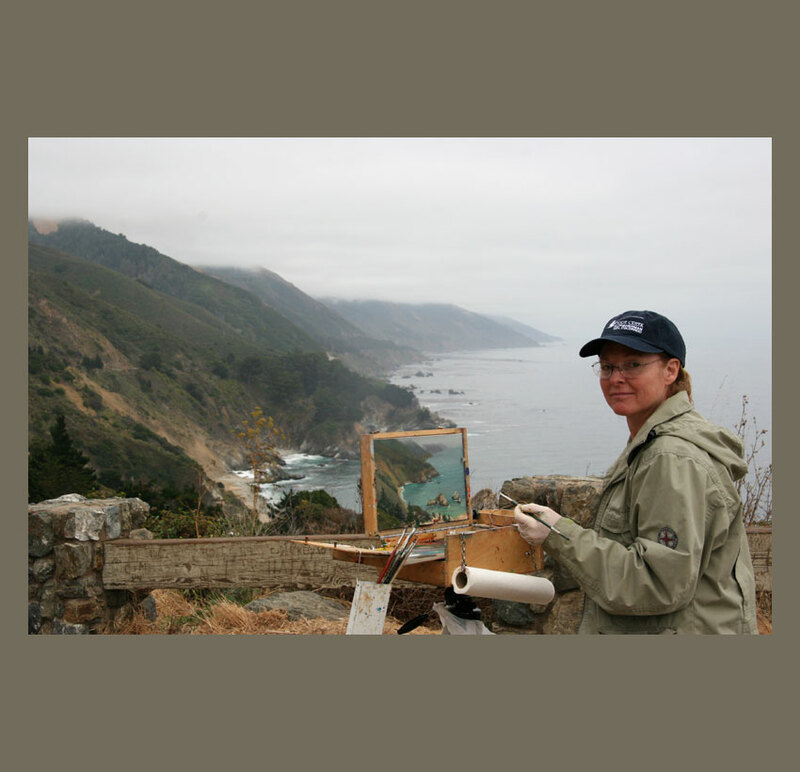 Cadieux is a signature member of the California Art Club and Pastel Society of America, as well as a member of the Portrait Society of America. She has three decades of experience teaching portrait and figure painting, first in Tulsa, and later at the California Art Institute in Westlake Village. She has also taught portrait painting for numerous workshops associated with the Pastel Society of America and The Art Methods and Materials Show. 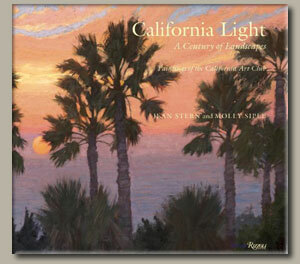 One of her paintings, “Malibu Winter Sunset, View from My Bedroom,” was selected to be the cover for the book California Light: A Century of Landscapes (Paintings of the California Art Club), published in 2011. You can read more about the book by clicking on the image-link below.